We currently have 0 in stock at Wells, 0 in stock at Congresbury (as of 24/04/2019 23:24:45). WOW!! 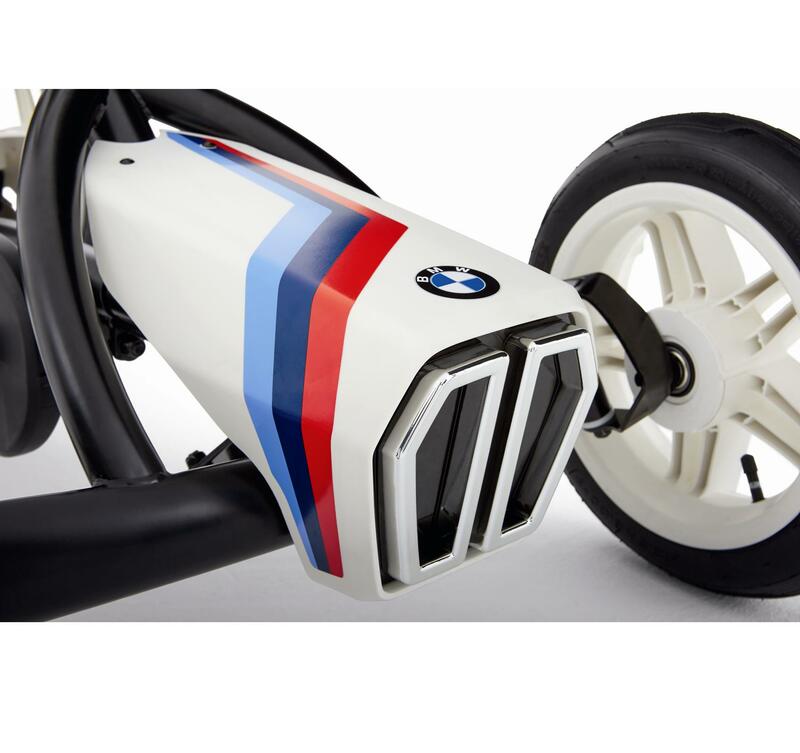 This Go-Kart looks amazing and we're sure it is going to be really popular. 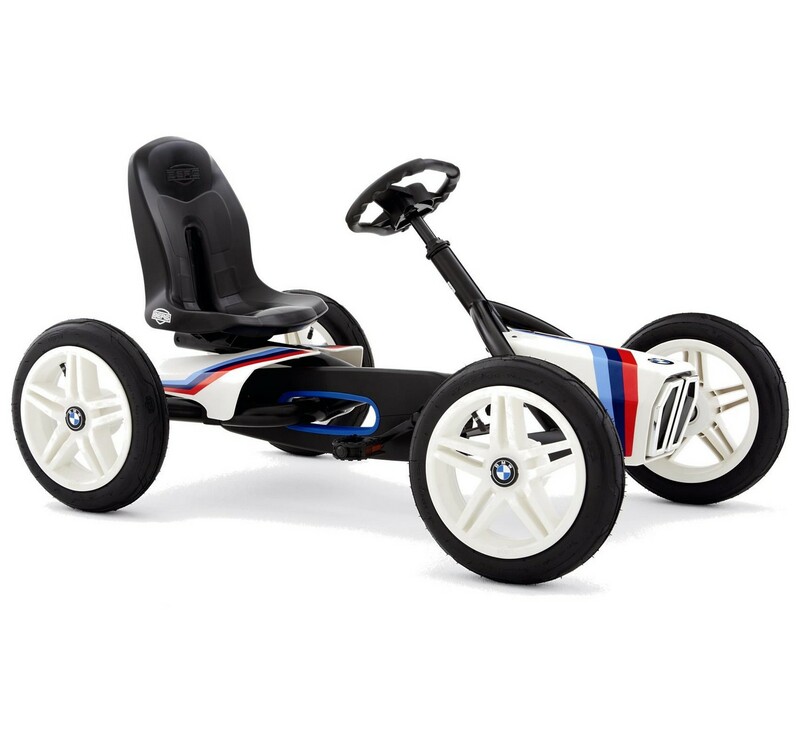 Based on the BMW racing legacy, the BMW Street Racer is a real must-have for every racing enthusiast! Tear around corners on screeching tyres and come to a stop easily on squealing tyres with the safe coaster brake. 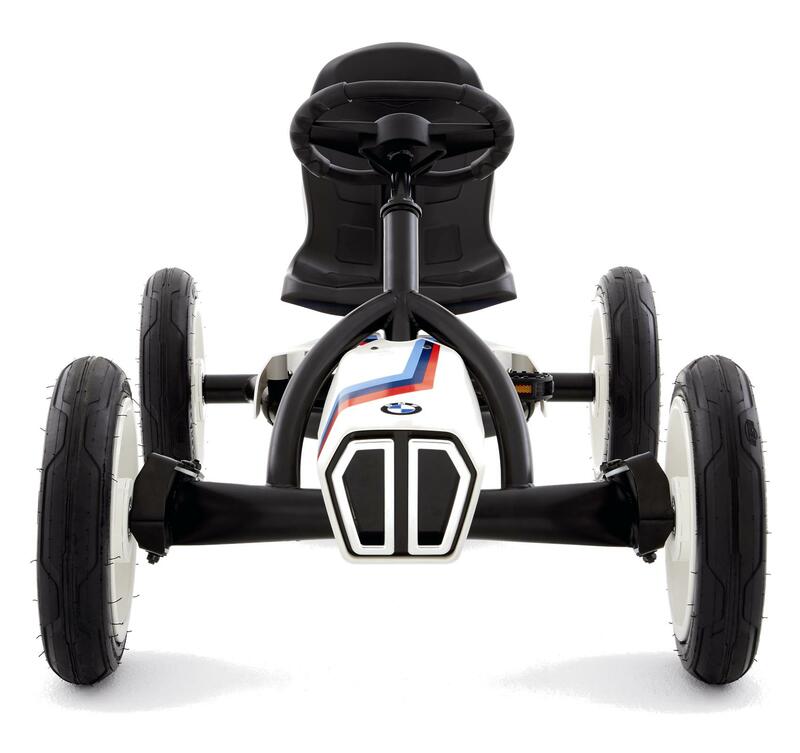 Due to the swing axle this go-kart has perfect roadholding and keeping your pedals still during the ride is no problem thanks to the freewheel. With this cool go-kart you are guaranteed to finish in first place and after playing you can put away your go-kart easily by parking it upright in the shed! 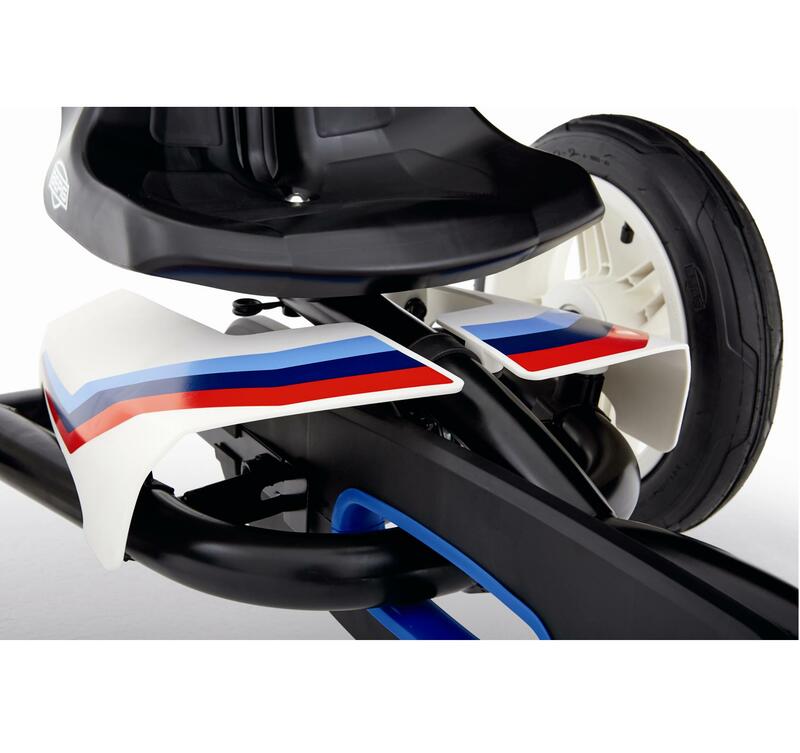 Please Note - All Berg Go-Karts are Drop-Shipped direct from Berg in Holland. Please allow 7 - 10 Days for delivery.